Do you work for QuickBooks Online? Learning about QuickBooks Online? We can help. "Quickbooks online review for Small to Medium size business"
"Good accounting program but expensive"
I love the fact that I can take my quickbooks online anywhere and bill clients on the go. I can use my phone , surface, or laptop to send estimates or invoices in the field. All transactions sync instantly so while i am on the road my secretary can take payments and all is good. The set up is fairly simple, and the ability to add services and products is perfect for my computer retail store and should work good for most retail service locations. The price is high per month, and quickbooks has increased once on me in the past year with no noticeable changes in the software. The option to export your data data file completly can only be done by calling in and using the old internet explorer. Support is almost nonexistent. It is terrible the reps keep you on hold for long periods of time if they answer at all. There are several programs out there that do what Quickbooks does. If you get tied down to Quickbooks it is hard to leave. Weigh your options before deciding on this. If done correctly you can eliminate having an accountant when using this software. Quick books actually helps me maintain my accounts very easily which is very easy to use. There are some minor things that I hate to see, but yet I love this application which is giving so many options to update and to have a proper ledger balance.. I like that Quickbooks online is not just for people with accounting experience, but can be used easily by anyone who knows how to use a computer. The user interface is very easy to navigate, and always updates in a useful way. Quickbooks Online gives me the ability to quickly invoice customers with presets for products that I use a lot. I do not like that Quickbooks Online changes the user interface so often. it makes it harder to keep up with all the changes. Sometimes I will log in, and something will be brand new -- which makes it hard when I am just trying to go along with business as usual. If I had one recommendation for Quickbooks Online it would be that they should begin to have a system in place that when an update has been made, the software will walk the users through the process as they are learning the new features. It is hard to log in to the software after changes have been made and not fully understand how to use new features or try to battle with using them for the first time. We are solving a host of problems with quickbooks online. It makes it easy for various users to help with the light accounting, including from the go. If we have a problem, anyone can solve it from anywhere and that is very important to a small company like ours. "Perfect for a new small business"
I love the ability to generate reports in a matter of seconds! When my attorney, bank, or CPA needs a financial statement or report, I can login and send it to them in no time. There is definitely a learning curve for QB online because if offers so many features. I would highly suggest having someone train you on what specific functions you need for your particular business instead of wasting time learning features you don't need. Consider getting someone to train you on QB. There are lots of functions that can get overwhelming. The biggest benefit is the ability to allow access to my CPA. He can make sure I'm on the right track throughout the year, then get all the info he needs come tax time. He can train me on how to input information that makes it easy for him when it's time to file my taxes. "Great online tool for bookkeeping"
I like that QuickBooks Online helps me to keep my bookkeeping like a pro. I did not have prior bookkeeping experience and was able to use this system easily. It is very helpful for producing professional reports and snap shots of my business's financial health. One of the best features is that my accountant is able to also have her own log in to my account to specifically get the financial records that she needs to do our taxes. We are always one step ahead during tax time. Not much to dislike about QuickBooks Online. There are a lot of functions I have not yet mastered, but I look forward to learning more as I go! The "help" section is very useful for figuring out things I have not yet mastered myself or if I have questions. I would recommend any company to use QuickBooks Online. You really get a head start on keeping your company's finances in order. It makes doing our yearly taxes a breeze and I am able to set a special log in account for our accountant to easily access or records. I am solving the problem of keeping accurate bookkeeping for my business. I am able to produce professional reports whenever requested. 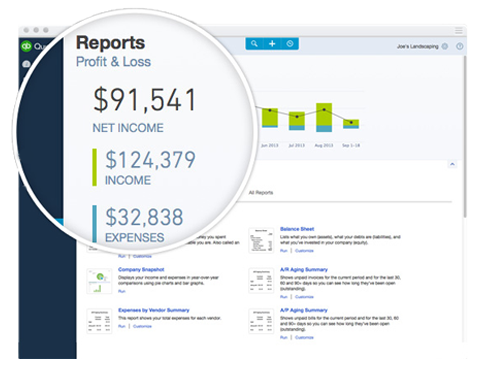 "Quickbooks Online is not what I thought it would be"
Quickbooks online gives me the ability to manage and track my income and expenses like I would expect as I am a service provider. There are a few features that I would like to see done differently or better. Such as, project based billing and/or tracking time against projects. I don't like having to integrate systems, but it seems that is how things need to work these days. I would an accounting that operated like an ERP but not have to spend the large expense to get that kind of functionality. If you are use to more advanced accounting platforms, do not expect those levels of features or functionality to found here. Without Quickbook Online, I would probably be using a number of spreadsheets or having to manage a large pile of receipts. Quickbooks Online does solve these problems by allowing your to take pictures of receipt and/or invoices to include in your digital records. I like that if I get confused or need help with something that I can go to the help section and there is video tutorials for many specific problems. I have used these videos to help me with reconciling. I have no prior experience for using this or for any book keeping and it is VERY helpful. I have our book keeper come in and show me basics once a month or so and then I try to keep up with it on my own and use videos when necessary. I dislike that it won't connect to square for payments. While there are other types of credit card apps we could use we have been using square for a few years and all of our past transactions are saved there. There is also an issue with payments being received and then it being linked to the bank account so it shows we received twice as much money as we actually did but I think that it is me not being used to doing it yet. I was nervous about paying the fee but it is so worth it. I used to have to spend hours trying to read my husbands handwriting to type out invoices and then accept payments, entering inventory. Quick books online is AMAZING because now my husband can do all of that while he is standing right in the customers house. He types up what he would have written, receives the payment and finish it all himself and I don't have to waste countless hours trying to figure it all out. "A Wonderful Tool When Well Suited"
For a small business, non-profit, or similar entity, QBO's mobile and on-the-go usability are unparalleled. For someone without a four year degree in accounting or bookkeeping, it's the tool they need to get a concrete understanding of where there money is coming from and going without the complexity of industry-specific accounting software. For someone with a four-year degree like myself that wants to take a look when consulting or auditing, it's remote optionality bypasses the need for clunky desktop software. There's a balance between being user friendly but overly simplistic, and if I'm honest, QBO leans just a tad to the latter. It may not feel overly simplistic to the business owner or other users, but the page-by-page step-by-step process can get a little unwieldy if one is trying to catch up on document entry, cutting checks, or reports. I almost always recommend looking at as many alternatives as possible, but that's not easy when there's one major player in the market that blows the rest out of the field, and for small business accounting, QBO is such a product. I do, however, recommend going 100% online and not trying to move forward only on desktop QB software or a mixture of the two. As I used the software while at a bookkeeping firm in college, the main solution it kept providing was a record-keeping method for people that didn't naturally incline themselves towards keeping records. I love that i can enter bills, pay bills, keep track of my open invoices and my customers. I also like the project feature. We do a lot of projects for clients so this is a great way for us to keep track of open projects as well as cogs and invoices for each project. It's a great way to make sure we're not losing money and that are margins are good. I like that I can set up recurring invoices, sales receipts, checks, etc. I had a very hard time with the payroll feature for a while. It seems to have gotten better. Every so often there are bugs and it takes a while for qbo to fix them. I also dislike that our taxes are paid semi monthly but that option is not given. I dislike that E-Checks take upwards of 7 days to settle in our account. The greatest problem we had with desktop was entering recurring echecks twice a month for our customers. There was a lot of room for user error. With recurring transactions, I can set up to automatically draft my customers echecks each month with no worries. "My impression about Quickbooks Online"
This Quickbooks online software and user interface are so intuitive and useful that it makes it easy to use the software and teach others to use the software even if they have little or no accounting experience. When we set up QuickBooks for use in our small business, I was immediately concerned with teaching inexperienced employees to do bookkeeping. However, using QuickBooks,we were able to quickly train in and get our staff operating independently with minimal review. Additionally, I like the feature to attach journal entry support. It's very helpful in review of journal entries to be able to agree the entry back to supporting documentation in one click. Many of my clients are in more rural areas with reliable, but slower internet. I use a higher speed DSL at my office, but still find the response time both to launch and use the online product agonizingly slow. I have a better experience running a VPN session to a client's Great Plains product. In addition, the graphics intensive front-end also causes system crawl. The re-design of the interface would have been better had it tried to approximate the desktop product. I like the organization. Being able to build a comprehensive client list with detailed information is very helpful. The ability to review past purchases and make recommendations from that is key. Also, inputting products is quick and easy. QuickBooks can do pretty much everything your small business needs. 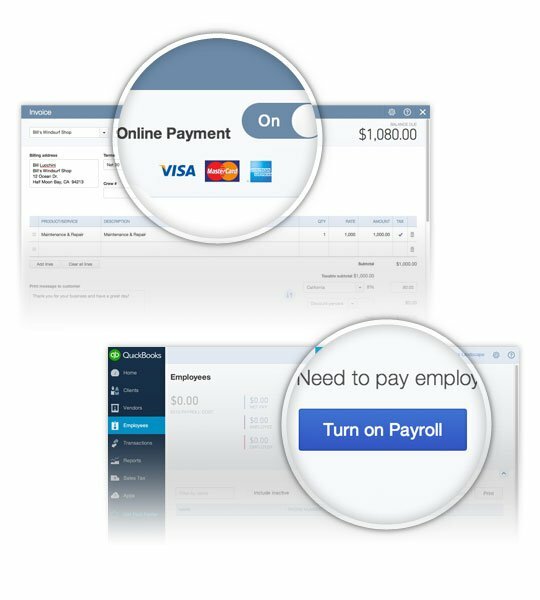 It even has different types of ways to perform payroll. Reports are fairly customizable. "Easy to use accounting and reporting software for small companies"
Quick starting tool for small companies with easy to use reporting. It is very helpful for starting phase of a new company, because you can use it very quickly after creating your charts of accounts. The possibility to access from everywhere is great, because it enables support by other entities within your group. Also, some repeating tasks could be given to other people outside of the entity organisation. There a set of useful reports already available which help a lot to run your business without thinking too much about other data sources - for sure these are financial data. You can run your reports like P&L statement by precise date selection (so also within month). Nothing special. Overall the software makes a stable impression. Maybe too many updates happen. So maybe they should improve their quality assurance. Good solution for a small company, because easy to handle and quick results available. I would not consider for a medium size company. I do not know how you can connect with other software like ERP. Especially when you want to run a group of companies it could be difficult to manage them together. Managing business of a small subsidary in the US. We need to have access from Europe on the company financial data. This is possible with the software. There is desktop app for windows 10 available. Easy access for concerned people spreat around the world. "Quickbooks Online is Easy to Use and very convenient"
From my experience, the system is very easy to use especially when you connect it to your business bank account. The original set up process guided me with the creation of my chart of accounts which is really important and made it so that I could easily keep track of all of our expenses and income. Our business is small yet mighty, its always great looking back and seeing how much you have grown over the year, the report makes this easy. Quickbooks online relies on the Internet so if my network is down for a second, I'm struggling with it a lot. Second of all, I wish that you could customize invoices more, the customization seems fairly limited. Also, I am unable to connect to one of our bank accounts as that bank uses multi factor authentication, and that is really frustrating as most of our transactions flow through that particular bank account. 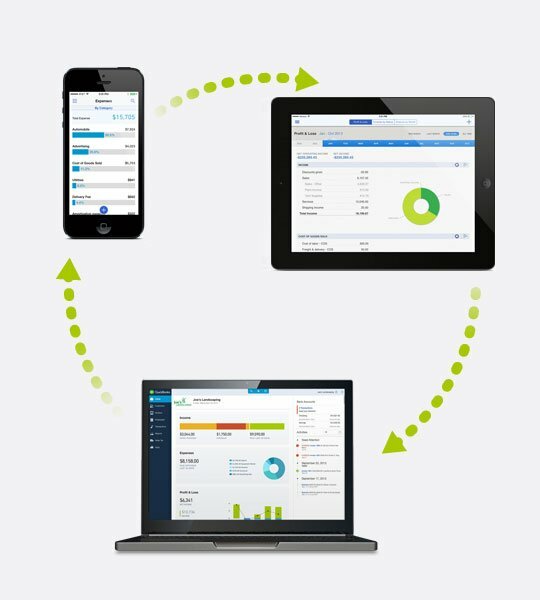 Quickbooks online has made it easier to accomplish accounting tasks from anywhere ,and across multiple devices,without having to be physically present in the office. Since we have Quickbooks online, we can send invoices to customers instantly and keep track all the business transaction from our inland freight services. "Quicbooks Online: Online accounting solution"
I must say that when I started using this tool, I did not imagine it was so complete, in its application in the cloud, I can make all kinds of invoices, with the necessary details that I need, as if I did in any desktop application, this system to be based on the cloud, it is very complete, you can make a report based on a complete process of different financial operations, I do not know if I explain myself, but here I can see for example, the whole transaction process, which I use in the credit card of my business, which allows me to create an extract, with the necessary details that I need, to create a report at the end of the month, in a simple and fast way, this type of reports, of different financial processes, They are made in predetermined templates, easy to edit, which allows to give a more professional image, to all types of documents. I have had some problems with this application, I think this is a failure of the server, because the truth, I have no idea what is happening, I usually do some work directly on the platform, to avoid writing some information, in a document of text, and pass the information here, this amine I avoid losing some time, but sometimes, I do not understand why, it is not saved automatically, the work I'm doing, if we put this is something basic, and should never fail, it is not possible, that if you leave the window of the application, and return after your work is lost, although that I know, and when I started using this application I used to spend more carelessly, but now with time, Like sometimes I forget, and as I said, sometimes automatic saving does not work. Recommended application, at low cost, to perform all types of online accounting operations. The accounting works, which were previously done on paper, or in any robust desktop application, that made us lose time and money, now we can perform them in a cloud system, with the greatest ease, and without the need to spend thousands dollars, in a license, is a fair price, and has the necessary tools to do the kind of work we usually do. The most I like about Quickbooks Online is its user interface. Everything is available on a click of a button and even if you are not an expert in accounting, you can still use Quickbooks for maitaining the books of accounts for your business. As an accountant the biggest limitation I have faced has been that 1 email or login id can be used for 1 specific country only. If someone is a Quickbooks Pro Advisor his 1 id should work on all variants of Quickbooks Online across different regions. Great software to use and is suitable for most businesses. However, please evaluate if its meets any specific requirements you might have from an accounting system. Some of my clients have moved from maintaining financial statements in excel to Quickbooks. This has resulted in more accurate depiction of the results along with reduced timelines since most of the stuff is automated. "Fast Reliable and Simple Software"
I enjoy the ease of use, speed, reliability and cloud features of QuickBooks. I have been using it for my business for years and it has never let me down. Now with the online version I don't need to store anything locally or download software and I have the same experience. It allows me to manage my entire payroll and expenses from any computer, phone, or laptop with a few clicks of my email and password. I have tried the competition and they are all more expensive as well as worse. Highly recommended A+. Just get it and don't bother with the competition. I am managing my payroll, expenses, and direct deposits with Quick Books. I have been using it for a long time and the online version is just as good and easily accessible. "QuickBooks Online: Easy to use accounting software for small business"
QuickBooks Online is very easy to use even for those who do not have an education in accounting and finance. I started using QB Online 5 years ago with no formal training - just got in there and learned the basics. Soon, I had a great understanding of the software and was often an instructor to co-workers who needed to learn the software. Sometimes while working on month end processing, I'll experience slow downs, but that is probably due to all the users online at the same time? Very easy to use and the support for QB Online is extremely helpful. I do the books for a small division of my previous employer which was not included in a business merger. I find the reports I produce for the owners and shareholders are complete, yet easy for them to understand, especially if I need to run any customized reports. "Overall, a great accounting service"
Functionality is top-notch. Very nice features that are ahead of competitors. Pricing is expensive compared to competitors. Huge increase in pricing if you only need one additional feature. Quickbooks Online is an excellent solution. Their uptime has been exceptional, and their ease-of-use is possibly unmatched. However, definitely check competitors such as Xero to see if they meet your needs at a lower price point and include all of the features that you could possibly want. On this end, although the pricing is expensive, their inclusion of mobile apps makes it a difficult solution to move on from. I highly recommend this company, but definitely encourage anyone that is not coming from another solution to compare trials from other services to make 100% certain that Quickbooks Online is worth the cost for your organization. Simple management of accounting on-the-fly. Mobile apps are a huge benefit. "All the features I need for my self-employed bookkeeping "
I like that I can take photos of receipts and they're right there in the same file with category, description, date. It's pretty easy! I have excluded transactions because of new app bank verifications, having to cancel and re-issue payments, etc., and they still show in my transaction list just like a new transaction in bold text. I would like the option to take them completely out of my list but it seems like that's not an option. This program is a little heavy if you're like me and don't need mileage tracking, etc, but it still has everything else that I find helpful as a small business owner. Their client support is very helpful - I initiated a chat with a rep when I couldn't figure out how to change my logo on invoices, and they were very helpful and solved the issue in under 5 minutes! Looking forward to finding out how well they do with taxes - that's a first for this new business owner! I can screenshot emails and use as a receipt upload, and QB automatically pulls transactions from my linked business bank account! Both very helpful features so I don't miss anything. It has additional features but for the most part is all inclusive, no need to pay extra. The design is simple and easy to understand when finding a reciept or looking to match an expense. Quickbooks allows you to communicate with other members of the team wihtout having to print out sheets in Excel. In Fact the fact that you can document transactions and easily search and modify them makes it a great system. The best part is that it connects directly to the bank the company uses therefore making it superior in terms of bank reconciliation required by the tax CPA firm we employ. The fact that it works with different systems means that we can accept payment and use bank applications, work with our accountant, as well as see how much the vendors we employ pay us, al on one screen. The simplicity helps explain things to senior management and keep meeting short but accurate. The Payroll Upgrade costs as much as it would to hire my own CPA to do accounting. Quickbooks allows freedom but should have had a built in Payroll feature or at least maintain competitive pricing. Business Tax Reporting. Aside from bookkeeping, thanks to QuickBooks I am able to find and match specific transactions and therefore see how much money the company spends and see this in relation to other months or by quarter. "Exceptional design and performance, the best software"
It is a reliable accounting software that is used by millions of people, so it is very easy to take my reports to my accountant every year and have her do my taxes. I have a small company with 4 or more employees and QuickBooks has allowed me to make my own books all these years. Honestly for some reason, the update can be very doubtful and I will go to do my payroll and suddenly I can not do it. Of course, this only happens when there is a time crisis and I need to quickly get some paychecks. I recommend this software. 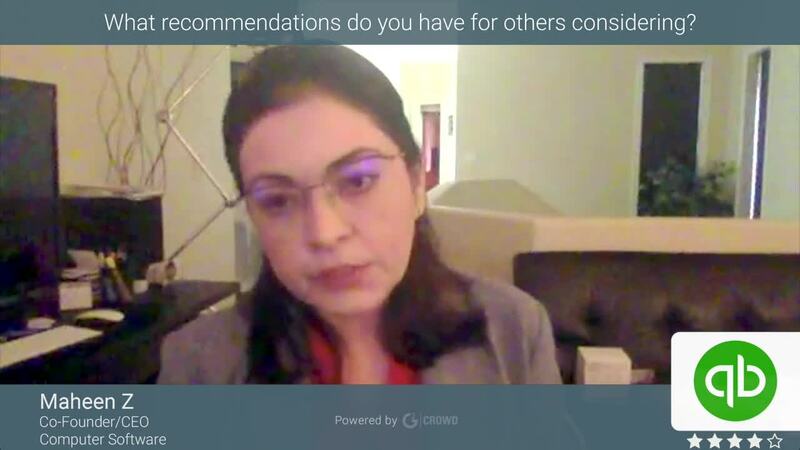 I'm a systems professional, a web developer, but I was an APC secretary, and I attended a Word Processing course, then I became a paralegal and I continued my computer education at the university here, then I did business with my husband , so I'm pretty familiar with QB. "Great Product for Small Businesses"
I love how easy it is to enter in new transactions or find old transactions from any screen. They've also simplified the reconciliation process each month. The site is intuitive and user-friendly and has many charts/graphs that help to tell the whole story. The reports are able to be customized to fit your individual company needs. Another benefit is that you can add your accountant as a user so as to keep everything electronic! The mobile app is a bit cumbersome and it is difficult to figure out how to take a credit card payment if you don't take them all that often. I've also found that linking to our bank account created more problems than it was worth. We needed to update our info so often and then link the transactions in the program to those that came through from the bank. It didn't make sense for us in the end so we manually enter transactions instead. We've been able to reconcile our bank accounts at a much faster rate than before as well as get the reports needed to our accountant in a timely manner. "Quickbooks Online is a powerful option in an accessible package." QuickBooks Online has recently improved their offerings to match up more closely with the desktop edition. Now with inventory management in addition to payroll, taxes, and more basic accounting functionality like invoicing, sales receipts, expense reporting, etc., it's hard to imagine a use case for a small business that QuickBooks Online couldn't handle. At a $60 price point and accessible by logging in anywhere, it's also incredibly accessible and convenient. At times QuickBooks Online can be slow to load, and some of the features are a bit clunky. There are quick links for invoices, but to get to estimates you have to move through several steps; the sales tax tracking and reporting system also leaves something to be desired. If you need something more in-depth than Freshbooks or Xero can provide, but want to stay online, give QB online a try! I use QuickBooks for every accounting task in my small business. The click-through to pay invoices is great, I find the inventory tracking to be invaluable, as well as more standard functions. I like the ability to make a sales receipt as opposed to an invoice for certain purchase categories. "Easy to use for small business"
Quickbooks is simple to use if you can understand simple accounting concepts. Makes keeping track of money easy. Easy to use from multiple locations because its cloud based and your accountant can access it at anytime because of that. Not being able to change the graphs on the dashboards to graphs that might be more useful. Also it would be useful to have a instant explanation of what reports are fully and how they are useful. the colors are hard to look at daily and would be nice if I could change the color scheme. Can't have a split screen that would be nice to have and useful. It helps me see the health of the business and how much money we actually have in the account at all times. Its nice to see what has cleared already and find mistakes. When you reconcile the accounts it goes much faster with little to no mistakes because it pulls your bank account info daily to match up what you entered. "Quickbooks + A Bookkeeper to Educate You = Balanced Books!" That I can grant access to my bookkeeper to go in and work on my books. After linking my bank accounts to the software, including lines of credit and credit cards she can easily match up expenses and income, making it simple to track cash flow. I also love how simply integrates with infusion soft, so i can send invoices for either platform and they all get accounted for in the quick books software. My struggle with quick books was in getting it set-up... maybe there are videos i never saw, but I did have to hire a bookkeeper to set it up for me and show me how to track and match expenses. Invoices I figured out on my own though. Accounting / Bookkeeping was never something I learned at school, so its been a learning curve to get comfortable with it. Check out what support they have now for setting it up (I hope there is more than when I originally joined). Keep in mind that it will likely be worth hiring a bookkeeper for a few hours to do the initial set-up and walking you through the software. That investment up front will save you down the road. "Finance work simplified by quickbooks online"
Quickbooks online is accessible and available anywhere.The best part of QuickBooks Online is that it is available anywhere that you have internet access.Last month I processed payments and employees payroll while out on annual leave in order to hit a required submission date and this QuickBooks online makes that easy.Quickbooks online has very Strong Security-quickbooks Intuit has a comprehensive set of security policies and procedures in place to protect company's data. Using quickbooks over the years ,I have noted that regular updates change the product making it difficult to re-learn and re-teach procedures.since it completely changes.Quickbooks online is very expensive since each company file requires a separate subscription. 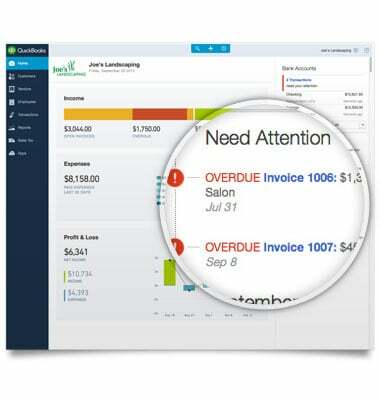 "Why I love Quickbooks Online"
Quickbooks online is intuitive and quick out of the gate. Once I went through the trial period, we decided to purchase an annual subscription to glean the full platform of the software. We're glad that we took the plunge. Keeping track of expenses, invoices and banking information in one platform has been bookkeeping a breeze. There isn't much to dislike about Quickbooks online, as it is intuitive and quick out of the gate. Once I went through the trial period, we decided to purchase an annual subscription to glean the full platform of the software. We're glad that we took the plunge. Keeping track of expenses, invoices and banking information in one platform has been bookkeeping a breeze. Quickbooks Online helps in various ways with solving typical business administrative tasks. There isn't much to dislike about Quickbooks online, as it is intuitive and quick out of the gate. Once I went through the trial period, we decided to purchase an annual subscription to glean the full platform of the software. We're glad that we took the plunge. Keeping track of expenses, invoices and banking information in one platform has been bookkeeping a breeze. I like having a resource to access all of my clients' financial records. QuickBooks feels a bit messy to me; I'm not financially savvy, and as someone who is required to use this program for work, I often feel lost. Many of the (admittedly good) features that QuickBooks has seem to be hidden and inaccessible unless I know exactly how to do something. The way the statements and invoices print are often confusing; I wish they were a bit more comprehensive so my clients knew more details about what they were paying for with each invoice, the due date, and where any overdue charges are coming from. If you are familiar with this program, I'm sure it's a good way to go! If you are new to this aspect of a business, my best advice is to have someone who is familiar show you around a bit! Staying on top of my clients' bills. "Best Way to see your Books"
Being able to combine all cards into the software makes it super easy to see what is going on in a snapshot. We have started utilizing more of the reports and it is making it easier for us to present to investors and to simply see the progress of our renovation properties and the growth of our Vacation Rental business. Chasing down everyone that uses company cards to make sure I classify charges correctly. With multiple people utilizing company cards, sometimes it can get hard to classify things when there are more charges through each day. We actually partnered this with Expensify to eliminate guess on my part and put the responsibility back on the employees making the purchases. I definitely recommend this product. You will want to make sure that you sync any bank accounts or corporate cards to your account so you can limit the amount of manual work for entering the charges. You can also set up detailed Chart of Accounts, Class Lists, and many more to track things as granular as you need them. Being able to see how each project is doing and where money is being spent on each project. I recently found a report that has been extremely helpful. With us paying out trades and contractors, the Check Report has been huge in our ability to see which checks have cleared or not and to pinpoint how much has been paid to each contractor to see our trends on different jobs. "Using for a startup SaaS"
Easy to connect to your bank account and it connects to just about any other tool that you'll use to run your company (Stripe, Chargebee, etc). I began using it for 2018 taxes, which I had a year full of receipts that I had to get in. I would say it was pretty easy. You can tell there's some workflow thought in there that made it easier. This holds for other systems I looked at too, but online bill paying is disjointed since they use another service. It could also be that I haven't done it enough to see if it's easier to think, which could be the case. I need to track expenses for a pre-revenue startup and then tie in revenue as it starts to come in. My goal is to automate as much as possible. "A tool for giving clarity to the complex "
I like the fact that I can visualize the data. Also, inputting data is a breeze. Finally, and this is the real draw for me, customer support is super fast and I generally have an answer within the hour. If there isn’t a specific way to do what I need to do, they have worked with me to find a work around and have submitted suggestions to the developers. Also, the seemless synchronization with TurboTax and export to accountant are extremely helpful. This product makes it possible to do the bookkeeping correctly and much more cost effective than hiring staff to do it. My bookkeeping in general has improved tremendously. I spend less time on bookkeeping and get excellent results. This, in turn, reduces my stress. "Probably the easiest accounting software there is." I love the ease of use. The interface is simple to find different reports and easily syncs with our bank information. I dislike the continuous offers for funding. I also wish there were more options available directly from the dashboard or that the dashboard was a little more customizable. Check the options to see what pricing plan works for you. Our business is rather small and can be managed by only 1 user but you may need more than that to keep up. There are awesome tools to help make everything really easy and convenient. We began to have too many transactions to keep track of manually. Our main goal with QB Online was to organize our expenses and income. We have really enjoyed the easy invoicing and payment systems that are offered all within the software. "A good alternative to manual accounting"
We like the bank integration feature where all our banking transactions are automatically fetched by QBO and we need not add the manual entries as we used to do earlier. Secondly, the clear graphs and pie-charts help us in understanding our business better. Even we can send the due payment reminders. It's quite complex and so many features to understand and utilize. Secondly, there are very less native integrations and Zapier automation is a costly affair. Plus there's no integrated payment gateway as seen in Zoho Books. It's quite complex but an essential tool to manage your business and accounting. Intuit QuickBooks Online saving our time, money and efforts in managing our finance and accounting. It's quite easy and simple provide access to our Charted Accountant during the mandatory annual auditing process. We also like the way we can share the invoice with our clients. "Quickbooks Online for Small Business"
I am able to manage our AR & AP, plus it maintains a customer database that links all services provided to each customer as well as I am able to upload files & photos for each job. Easy push to invoice via email option is also great! The downfall regarding the online software I use, is that I am unable to customize an the software standard forms to convert into a work order. As a small service company I would prefer to keep all forms from start to finish in one place. so being able to customize forms a little more would be a huge benefit. the ease and use of online accounting is helpful for the on the go small business owner. Initially used an offline software for accounting purposes. Utilizing the online software, I am able to log in while away from the office and make payments or receive payments details, instead of waiting to get back to the office. The convenience this provided alone was huge. "Quickbooks best meets accounting needs." In my opinion, the best thing that I like about this program is that its functionalities are really easy to learn by anybody. In order to get familiar with Quickbooks a person should have basic computer skills. Superb software that is suitable to run small businesses effectively. Invoice Customization is one of the great features I like to use. Another key feature that I like about Quickbooks Online is that it can be use from anywhere and anytime by just connecting to the internet. It is an outstanding product for the technical mind persons. I am really satisfied with this software. One thing that I feel is not suitable for the users. That is its being expensive; It would be nice if they reduce the pricing. It will be more helpful for the small size for business. If I take a glimpse technically on the on this tool I will surely say I have not ever encountered any kind of major issue, that I have to write here. I would say in order to solve accounting issues or problems QuickBoks is the best choice I have made. So must try this advance program. It is perfect at campaign management. It is a comfortable tool for taking financial statements. I would say through Quickbooks online we can stay in touch with our clients. It has raised productivity considerably. "QuickBooks Online is the most dynamic accounting software that you ought to have"
I must disclose that I have used QuickBooks Online for three years + to carry out some vital business obligations like invoicing. 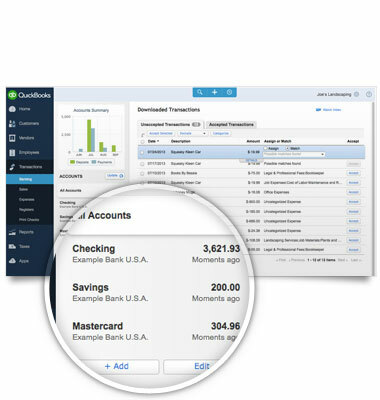 What I like most about QuickBooks Online is the way it is accessed in the cloud. For that reason, I am able to accomplish some vital tasks from anywhere there is stable internet connection. Additionally, QuickBooks Online is a user friend;y accounting solution since it has a simple interface and slick design which makes it easy to work with. Last but not least, I like how QuickBooks Online integrates with some useful applications that we use in our organization. What I dislike most is the way you cannot use QuickBooks Online when there is poor internet connection. Again, QuickBooks Online get offered at a higher license cost per user. It would be the best accounting solution in the cloud if they would offer it at a favorable cost. Yes, with no hesitation, especially to all those that want to accomplish their accounting needs.